The hotel opened in June 2004 under the Etap brand. It is now part of the Accor Ibis Budget brand. 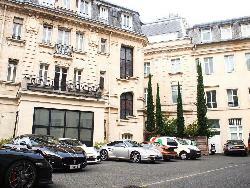 The hotel is superbly located in the very heart of Le Mans, adjoining the Mercure Le Mans Hotel. Very easy access by foot to the town for the Parade on Friday (24 Hours in June) and for access to restaurants and shops. Access to the circuit is via the superb tramway which is located very close by. Trams run nonstop during the period of the race for the 24 Hours in June. As a budget hotel, the rooms are functional and comfortable and have en-suite facilities and air-conditioning. 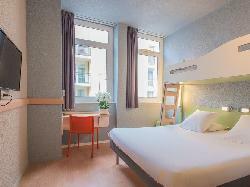 The hotel offers single, double and twin rooms. Please note that some twins will be a large double bed with a bunk bed over the double (as per the picture) A continental breakfast is served in the busy breakfast room. There is gated car parking within the hotel. The hotel has recently completed a refurbishment programme.